QDR Gold Star Teacher Appreciation Month Winners! 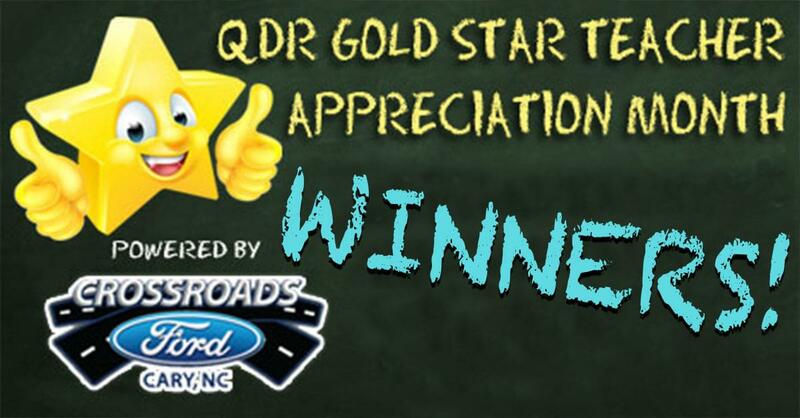 We made August QDR’s Gold Star Teacher Appreciation Month! Every month, QDR honors a teacher around the Triangle with the Gold Star Teacher Award to say “Thank You” for what they do to inspire, motivate, and help our kids to be better and smarter every day. For the entire month of August, with the help from our friends at Crossroads Ford in Cary, we wanted to say “Thank You” in a bigger way by spotlighting a teacher every day and reward them with a $25 gift card to Crabtree Valley Mall and a $25 gift card to Kanki! Congratulations to all of our hardworking teachers! Congratulations to our grand prize winner, Mrs. Lee! She won $1,500 to stock her classroom courtesy of our friends at Crossroads Ford Cary! Crossroads Ford of Cary is your source for new Fords and used cars. Browse their full inventory online and then, stop by for a test drive. Visit Website. 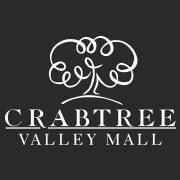 “When all you want is everything,” make Crabtree Valley Mall your all-day destination! Visit Website. The best tasting show in town! Multiple locations across the Triangle. Visit Website.